Please note that our footprints are based on official sources. 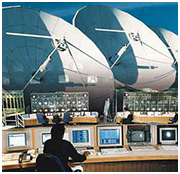 Click on a satellite name below to list available downlink (EIRP) coverage maps. For more information about satellite footprint maps, please refer to the FAQ page. If you are looking for uplink (G/T) coverage maps, please refer to the Satellite Data page.